True confession of an autism mom: I waited until my son was 5 years old before I attempted to take him to a dentist’s office. Between his oral defensiveness and severe anxiety, I couldn’t figure out how to make it work before then. The only reason I made that appointment was my concern over an adult tooth that erupted at an unusual angle with the baby tooth still on top of it. My son was the kid who screamed uncontrollably every time he entered anything that looked like a doctor’s office. My son was the kid who wouldn’t let me look inside his mouth when he was teething or when he had injuries. I used to seize the opportunity to try to get a brief glimpse at his teeth whenever he was laughing at a joke or in the middle of a tantrum. Brushing his teeth was challenging at best, and there was no way he would rinse and spit. Eventually my husband and I were able to reduce our son’s oral sensitivity enough so that we could take care of his teeth, and we approached his anxiety from several angles to make that first visit to the dentist a success. The National Institutes of Health have a guide for caregivers emphasizing the importance of creativity and a daily oral hygiene routine – and those were the keys to my family’s success. Finger toothbrushes for infants only encouraged my son to bite my finger. Instead, I offered him a clean, wet washcloth to chew on for a few minutes in the morning and before bedtime. I helped him move the washcloth around his mouth so that all of his teeth were scrubbed. Then I offered water to drink, since he didn’t know how to rinse and spit yet. The next step was to allow my son to chew on a child-size toothbrush while I brushed my own teeth. This desensitized him to the toothbrush’s texture while I modeled appropriate dental hygiene for him. Sometimes it’s necessary to try several different types of brushes, such as a spin brush. After many months, when he was accustomed to the texture, I added non-fluoride toddler toothpaste to his toothbrush so that he would get used to the idea of flavoring on the brush. It was important to continue with the brushing ritual every morning and evening – if I accidentally skipped one morning, my son would be uncooperative the next time I tried to clean his teeth! A few years later, my son was allowing me to brush his teeth and he had finally learned to rinse and spit. Then we switched him to Kids’ Crest fluoridated toothpaste, because the flavor is milder than adult toothpaste. In recent years, medical studies have documented a clear connection between oral health and overall physical health. Tooth decay is now considered a preventable infectious disease. The bacteria that cause tooth decay are typically transferred from one person’s saliva to another person’s mouth. Sugary foods feed the bacteria and promote decay. Many children with special needs continue to bottle-feed until they are 4 or 5 years old because of delays in oral-motor skills, which is another risk factor for tooth decay. To reduce the risk of cavities, I gave my son a drink of water after his bottles and made sure his teeth were brushed immediately before bedtime. I also gave him probiotics, the beneficial bacteria that balance out the harmful bacteria in the human body, mixed into his milk. The best way to find a dentist is to ask for a referral from other families in the special needs community or from your child’s therapy team. The Special Care Dentistry Association also provides referrals. I asked my son’s occupational therapist for a referral to a pediatric dentist who had experience with special needs. She recommended a dentist whose office was next door to a pediatric therapy clinic – this dentist had worked with hundreds of children with all types of special needs. The office staff was ready for us when we arrived. Not all dental offices are equipped for special needs – some offices do not have enough space for a wheelchair transfer, other offices may have a harsh sensory environment. Ask the office staff about their experience with your unique needs. Consider visiting the dentist’s office several times before attempting any type of examination. One time I had my husband bring our son in to see me get my exam and cleaning. Ricki Robinson, author of Autism Solutions, suggests taking photos of the equipment, staff and waiting room – then using those photos to make a storybook about going to the dentist. I got a bunch of books about the dentist from the library for my son. The only books that interested him were those that had photos of actual dentists’ offices, not cartoons or drawings. He liked clear, concise narratives that showed him exactly what to expect. He also liked simple, scientific explanations about the importance of oral hygiene. Keep in mind that most dentists can bill your visit in three separate parts: cleaning, exam and x-ray. If a child becomes anxious during the cleaning, you can reschedule the exam and x-ray for a different day. Or you can schedule each of the three parts on different days. Ruby Gelman, DMD, advises in the book 1001 Tips for the Parents of Autistic Boys, “If your child has an object that he particularly loves (a music player or a clock, for example), bring one with you to the dental visit so that the dentist can incorporate that into the appointment.” Familiarity with the dentist not only reduces anxiety during the visit, but it also increases compliance with dental hygiene at home. On top of the increased risk for tooth decay, individuals with special needs often have damaging oral habits such as grinding teeth, picking or biting inside the mouth and tongue thrusting. For individuals who have a high anxiety level and need long dental procedures, it may be necessary to consult with the dentist about anesthesia and restraint options. Instead of anesthesia, some dentists still use a “papoose,” a tight swaddle that immobilizes the patient during procedures. Many parents report that the papoose actually heightens their children’s anxiety and makes future dental appointments much more difficult. 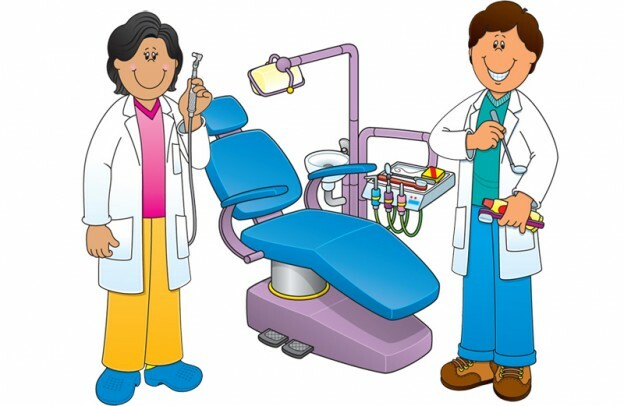 A doctor may prescribe a mild sedative before the appointment so that the patient is relaxed and sleepy during the procedure, or the dentist may use nitrous oxide (laughing gas) during the procedure. If the individual is still distressed, then general anesthesia may be required to get the job done. In these cases, parents usually request that all cleaning, x-rays and repair be completed while the patient is under anesthesia. The last time I took my son to the dentist, he confidently went into the exam room without me. Afterwards he couldn’t wait to show his dad how clean and shiny his teeth were. I could hardly believe this was the same child who used to protest so vehemently every time I tried to touch – or even just look at- his mouth. Repetition, desensitization, persistence and familiarity helped him learn a new life skill.